The ten most difficult Zelda dungeons EVER! I love the dungeons in Zelda games. Love them. They are one of my favorite parts of the series and perfect examples of stellar, intricate game design. But as glorious and classic as these dungeons are, most of them are not known for being truly difficult. Well ... not all of them, at least. There are some dungeons in the 25 year history of the Zelda series that stand out as being much more challenging than the others. Dungeons that will make you pull out your hair. Dungeons that will force you to scream out expletives. Dungeons that will drive you mad. This is a list of those dungeons. The ten most difficult Zelda dungeons ... EVER! 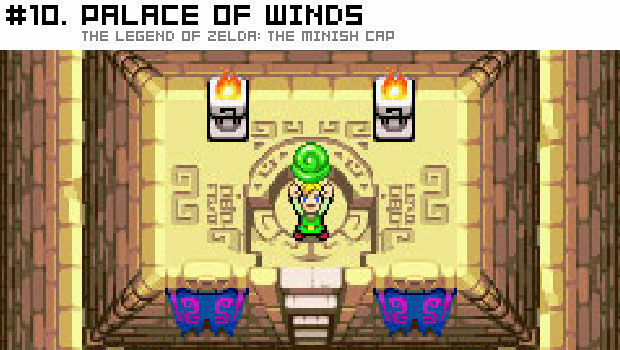 The Palace of Winds in the underrated Minish Cap is one of those Zelda dungeons that is just as challenging as it is unbelievably long. One of the later dungeons in the game, the Palace of Winds is home to the Roc’s Cape, an item that allows Link to jump and glide. With the addition of this item, not only does the player have to deal with tricky platforming, they have to contend with tough enemies, annoying fans that make navigating very tricky, an odd cloning mechanic, and a series of complicated switch and block puzzles. F*ck this sh*t moment! : Your long, tedious battle with the (admittedly cool) end boss is almost finished. You only have one heart left. You are about to deal the final blow ... when you accidentally fall over the edge and die, having to start the battle over again. Dag. No, you are not reading this list backwards. As much as everyone complains about the Water Temple in Ocarina of Time, it actually isn’t that challenging of a dungeon. Annoying? Oh yeah. Switching your boots and constantly adjusting the water level is unbelievably annoying. But difficult? Not as bad as you may remember. F*ck that sh*t moment! 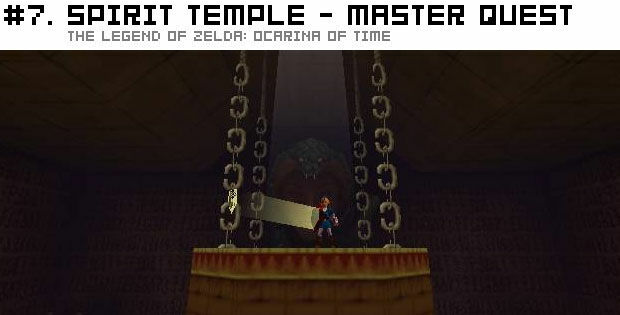 : Every time I play the Water Temple in Ocarina of Time there is one key that I always miss. You would think that I would learn after all these playthroughs, but, no. Somehow I miss the same key every single time and have to go back and find it. That key is the bane of my existence. 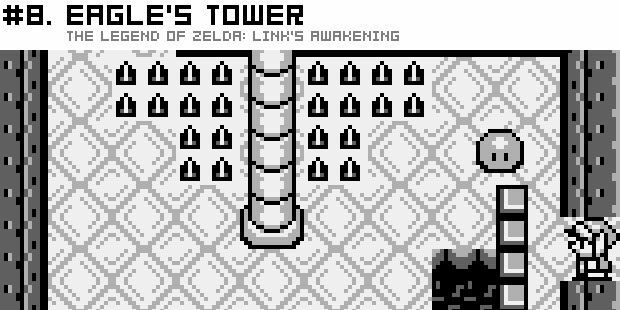 Although it is not part of the actual dungeon, the journey to get to the Eagle’s Tower in Game Boy classic Link’s Awakening is worth mentioning. 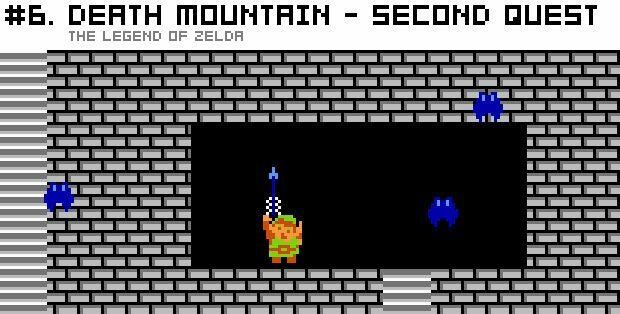 To find the tower, Link must travel through the confusing caves of Tal Tal Mountain Range to locate a tough-to-find key. It is a such a long and winding journey, that by the time you find the key and reach the tower, you are already exhausted and not at all ready for the maniacal traps and puzzles that wait for you inside. And when I say “maniacal” I am not exaggerating. Moving tiles. Numerous pits. A giant puzzle that involves knocking down four stone pillars and collapsing an entire floor! They all exist inside this tricky, easy-to-get-lost-in dungeon. And I hate them all. F*ck that sh*t moment! : Losing the heavy iron ball used to destroy the four pillars over and over again. It seriously will drive you insane. This is a baffling one. The initial Spirit Temple in Ocarina of Time is one of the most masterfully designed dungeons in the game, requiring the player to alternate between young and old Link in a perfectly constructed dance. 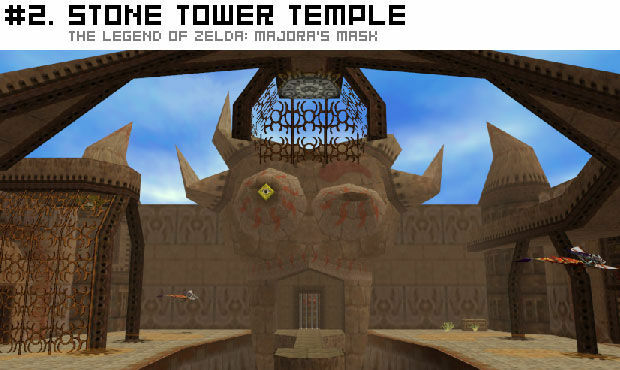 It is a stellar dungeon and one of the highlights of one of the best Zelda games ever made! The Spirit Temple in the Master Quest -- Ocarina’s bonus quest unlocked after beating the game for the first time in the 3DS remake -- is confounding. Random switch placement; awkward, almost illogical level design. The whole dungeon feels hard just because the designer’s wanted it to be hard. Which is not the Zelda way! F*ck that sh*t moment! : Honestly, the whole dungeon is one giant WTF?! The final dungeon in the original Legend of Zelda is hard enough, but playing through it during the game’s infamous second quest is just torturous. Not only is the map very confusing, each room is full of the hardest, most infuriating enemies in the game! We are talking an overload of Wizzrobes (ugh! ), Darknuts (UGH! ), and fireball-spewing statues (ARGH!). F*ck this sh*t moment: There are two: Using all your bombs and not finding any secret passages is bad. But getting all the way to Ganon and wasting all your Silver Arrows in a panic is the worst! I was one of the few people that didn’t mind the Temple of the Ocean King in The Legend of Zelda: Phantom Hourglass. People were angry that you had to keep revisiting the same temple over and over again -- replaying the same parts to get to new, unlocked areas -- but, for some strange reason, it didn’t bother me. 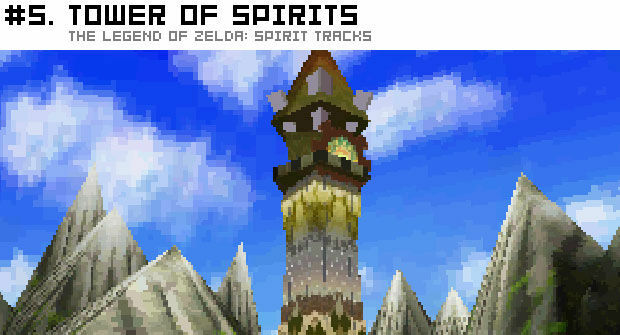 This same concept was again applied to Spirit Tracks in the form of the Tower of Spirits. But this time, things were supposedly made easier by not having to repeat old sections and granting the player easier access to new areas. But guess what? While navigating may have been much better, no one mentioned how much more challenging the entire tower would actually be. In the Spirit Tower, Link must possess the body of multiple Phantom Knights, each with different skills. This is usually fine -- fun and innovative, even! -- but on the final floors of the Spirit Tower, everything is so complicated, vast, and confusing that it doesn’t become entertaining anymore. At all. It just becomes hard as balls. F*ck that sh*t moment! : Realizing you directed one of the slow moving Phantom Knights to the wrong location and having to backtrack all the way back to the start ... only to find out that you have absolutely no idea where to go or what to do. Yay! Fun! 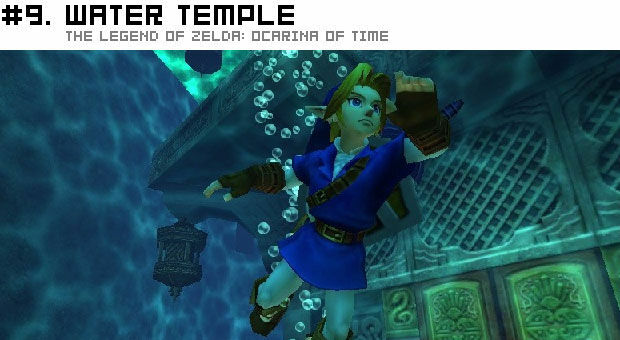 This is the water temple people should always talk (and stress) about. I think there is a rule throughout all the Zelda games: If a dungeon is set in a water-themed environment IT IS AUTOMATICALLY AWFUL! 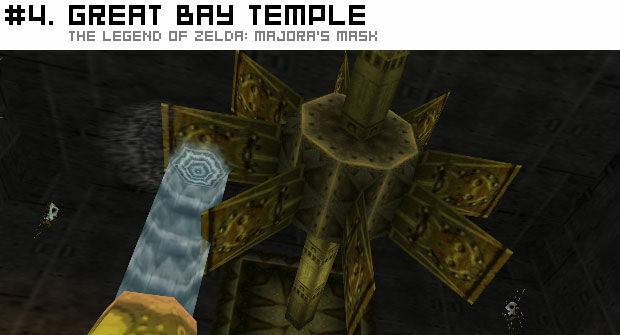 The Great Bay Temple in Majora’s Mask is no exception. Swimming through the twisting, current-filled corridors and manipulating frustrating pipes are both time consuming and endlessly complicated. Also, you have to do all this within the game’s “three day” time limit. Ugh. F*ck that sh*t moment! : You finally figured out the tricky dungeon and are heading for the boss. Right before you reach your goal, the time runs out and you have to do everything all over again. The Legend of Zelda: A Link to the Past for the Super Nintendo is my favorite videogame of all time. I absolutely adore it in every way imaginable. And even though I have played the game dozens and dozens of times, I still shudder when I have to make my way to the Ice Palace. As well-designed as I think it is, it doesn’t change the fact that it is one very tough dungeon. Slippery floors. Rooms full of enemies, some of which can only be killed with the magic-depleting Fire Rod. Conveyor belts. Pits everywhere. A multi-level map. All of these things add up to one gosh darned challenging Zelda dungeon! F*ck that sh*t moment! : There is one particular sequence that involves you having to activate those annoying red/blue switches, while traveling back and forth between the dungeon’s different floors, trying to push a block through a pit to activate a switch. It takes forever to figure out and has the power to drive you mad. 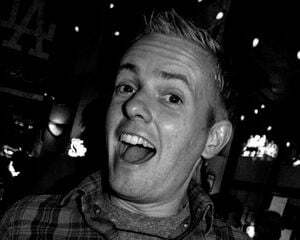 MAD, I SAY! In my world, I like to believe the designer who said that was fired the next day. F*ck that sh*t moment! : The mirror room. THE MIRROR ROOM! This is it. 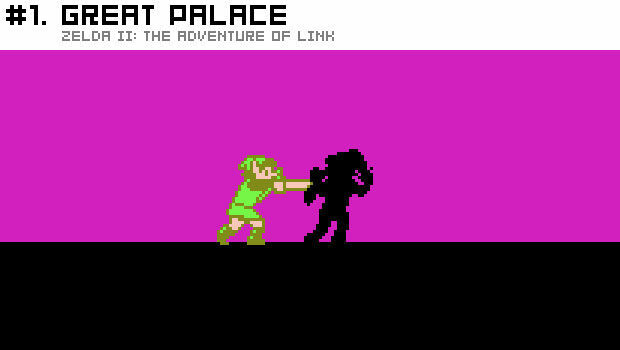 No dungeon in the entire Zelda series is more difficult than the Great Palace in Zelda II: The Adventure of Link. Nothing even comes close. To be honest, all of the dungeons in Zelda II could arguably have found a place on this list. The game is that hard. First off, it takes forever to even get to the Great Palace, the game’s final dungeon. 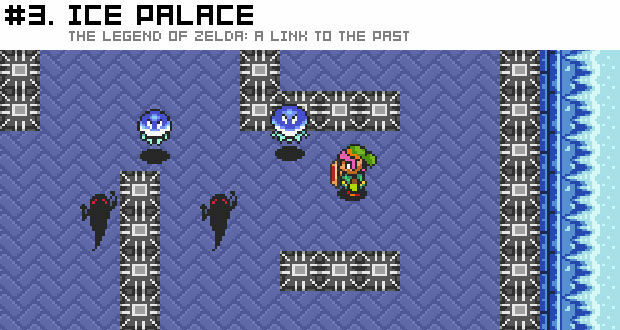 Once you finally do reach the palace, you are in for one of the longest, most confusing dungeons in Zelda history. The layout is brutal. And on top of all that, you have to deal with limited magic, no save points, and a ridiculously tough boss (Thunderbird) followed by a near-impossible one (Dark Link). Oh, and did I mention YOU HAVE LIMITED LIVES IN ZELDA II AND IF YOU LOSE THEM ALL YOU HAVE TO START ALL THE WAY AT THE BEGINNING?! Yeah, so there is that as well. Eff the Great Palace. EFF IT SO HARD! F*ck that sh*t moment! : While running across one of many collapsing bridges, you get hit by a floating dragon head and are knocked back into the lava, killing you instantly. Seriously, eff this dungeon. The upcoming Skyward Sword (released this weekend!) is supposedly one of the most difficult Zelda games in years. Do you think any of its dungeons could make it on to this list?